He gives that bit of extra experience to the team. He has been playing for quite a long time in the Spanish league and in the national team and besides that he is the only world champion in our team. Sometimes we really need that kind of experience and calmness. He is a very relaxed, reserved and introverted person. I am a team player. I like to defend, to help, and I try to be everywhere in order to do that. I like to help my team-mates and to fill in the gaps they leave behind. I enjoy giving orders on the pitch and I want the team to play the way I intend to, not the other way around. Step by step my role has been changing – now I am the captain and one of the team's veterans. It is my job to teach others the philosophy of the national team, which is that the team always comes first rather than individuals. We called him 'La Roca' (The Rock). He is physically very strong and he makes use of that at the back, defending. He is slowly becoming more experienced even if he has arrived quite late in the national team. He is a very easygoing and relaxed person, already a father and someone who has very precise ideas of what we wants from life. He is a very intelligent person. He has been one of the tournament's revelations. This is his first major championship with the national team and he has already taken a lot of responsibility. He is fully aware just how important and decisive he is for the team and he is always ready to deliver. I share a room with him here in Belgrade and he's always happy with a smile in his face. He has given this team a touch of freshness. He has just broken into the national team, mainly because of the several injuries he has endured. He has adapted very well to this group of players and has perfectly taken on board our philosophy. He is a player that everybody will need to take into account in the future. He is a very useful player as he is able to play as both forward and winger. He is also left-footed and that is something very important because there are not many players like that. He gives us a lot of solutions and options when it comes to using different tactics. He is a very friendly guy. He always has to have the final word in a discussion and has an answer for everything. He is all heart. He has found his real game in the last two years. When he signed for Inter he struggled a lot. He didn't manage to find his place and role in the side. That has changed these past two years. He has found his style and game philosophy and now he's playing at his best level. As a person he's perfect, he's always helping. He can get a bit angry but that's just because we are always joking with him. He takes everything to heart. He is not old yet but he has a lot of experience of these kind of tournaments. He has been playing at the highest level for several years. He is a very important player in our team because he gives us the level of mobility, hard work and quality which we need so much. As a person he is always smiling and joking. He is 28 or 29 but it's like he's only 22. He’s a very good friend of mine. Like Mario Rivillos, he's one of the tournament's sensations. In Spain we already know him very well and are aware just how good he is. When he is fully focused and doesn't engage in any kind of problems with opponents he's a great player. I believe he will be very important for Spain in the future. He comes from a very small town in Murcia and he doesn't care about things that are important to others, like for instance politics. He is fully focused on his family and his life. His situation is a bit like the one with Bebe. He has played very few matches with the national team but, unlike Bebe, he plays for a smaller club and he's not used to playing in finals. That's his handicap but he's also a very gifted player. He has surprised me a lot as a person. He is from Andalusia and he is a very cheerful lad, typical of that region of Spain. He is the one player who is supposed to make all the difference for us. Because of his experience, quality and status everyone expects great things of him. And that's exactly what he has been doing this tournament. Maybe in past tournaments he has failed to show his true level but here in Belgrade he's been amazing. He's being the Miguel we all want him to be. He's giving us what we need. As a person he's simply crazy. He's hyperactive and he doesn't stop for a single second. He's a great man. He is the vice captain of the team. He has played in many international matches and at major tournaments. He has won several national league titles with Murcia. He is very shy, he doesn't like to talk a lot and he has some problems relating with other people. He is almost always in his own world. To me, he is the goalkeeper of the future. He is doing very well in our club, Inter, winning two Spanish leagues. He really knows what's it like to play in these huge matches. He was involved two years ago in Antwerp so he already has the experience of playing in a EURO. He is more extroverted than Paco Sedano, always making jokes. To me he is a friend. He is the kind of player that sometimes you think is not even on the pitch but he always helps the team with his goals and his work. He never quits and gives everything he has in both defence and attack. He's a very reserved person. He doesn't like to talk in public or give interviews. He always wants to go incognito but when you get to know him you soon find out just how great he is. He is a very demanding coach. He works so hard. He loves the sport, he's really passionate about futsal. He's always fighting for futsal's growth. To me he is an amazing coach. 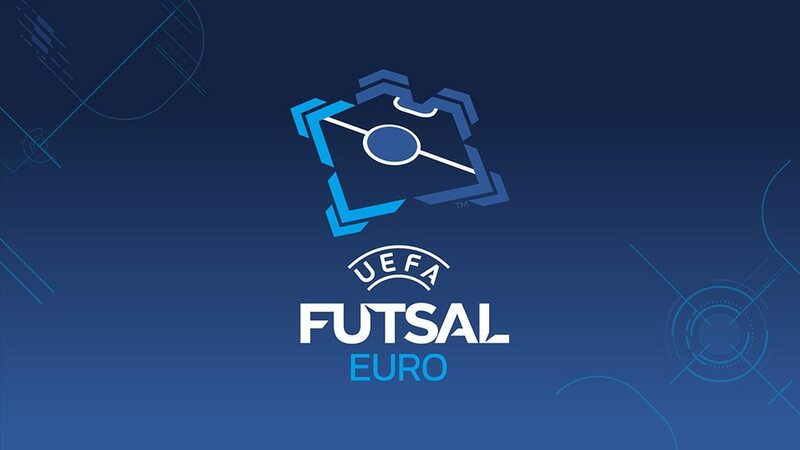 Spain are Europe's most successful futsal nation and two of their stars, Pola and Andresito, took time out from training to show off their skills to UEFA.com's camera crew.